Most Canadians will encounter an all-too-familiar fork in the retirement planning road. The big question is, “Do I start my Canada Pension Plan benefits at age 60 or wait until 65?” The dilemma is that when you elect to receive benefits at 60 you face a reduction of 36% (0.6% for each month prior to age 65). Once you do the math, this is 64% of the amount you would have received at 65 if you’d waited. Again, the question for which everyone begs an answer, “Do I start early and receive less (or) do I wait and receive more?” To make matters more complicated, you are given a third choice. If you wait beyond 65 to start the Canada Pension Plan, the retirement benefit increases by 0.7% each month. At age 70, you would receive 42% more than at age 65. The best way to quantify these values into dollars and cents is using a side-by-side comparison. Just as pictures are known to “say a thousand words”, so do the numbers. Whether you elect to receive your benefits as early as 60 or later at age 65, eventually, the amounts will cross-over as shown below in Year 14. Obviously, the longer you live, if you choose to wait “to get more”, you will “get more”. However, the unknown “X” in the algebraic equation is how many years will you live? Since there is “no sure” answer, you have to do what’s best for you. Using the retirement benefits from the example, the calculations below show only the present values. Indexing Canada Pension Plan benefits or accounting for any earnings was not applied. 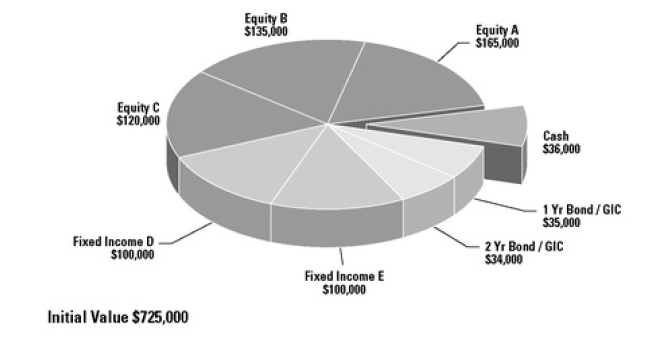 If you would like more detail, financial planning software can create these values. (1) The Canada Pension Plan does not have any significant estate value. The death benefit is equal to six months’ worth of the monthly pension amount to the maximum of $2,500. This clearly indicates there is no advantage to starting later. (2) Your spouse will receive a survivor pension derived from a share of your Canada Pension Plan retirement benefit. However, the danger is when you both wait until age 65 to receive the higher CPP benefit, then the survivor’s entitlement may only be a portion which tops up to the maximum amount. A CPP recipient is allowed to receive a retirement and survivor benefit, but the sum of these two payments cannot exceed the maximum retirement benefit at age 65. In 2015 the maximum benefit amount is $1,065.00. If you continue working and are concerned about being taxed on the Canada Pension Plan benefits, the easiest solution is to hide these benefits inside an RRSP, providing you have available contribution room. The only way to know your RRSP deduction limit is to check your Notice of Assessment. If you have maximized RRSP contributions, then hide CPP benefits inside a TFSA to shelter the earnings from taxation. If you tell me that you have maximized contributions to both, an RRSP and a TFSA, then “Congratulations!” Since you do not have any place to hide your CPP benefits, then you may choose to wait especially when the CPP benefit pushes income into the next tax bracket. The greatest advantage for CPP recipients is the removal of the years when the contributions to the Canada Pension Plan may have been low or contributions were not made. By removing these values from the calculations, the overall retirement benefit is bolstered in favor of providing a higher income. With the General Drop-out Provision, up to eight years of your lowest earnings will automatically be dropped from the calculations. With the Child-Rearing Provision, an eligible parent is allowed to have additional years excluded when they stopped working or received lower earnings to raise your children. Both of these perks ensure the highest possible payment is granted. Although the General Drop-out Provision may certainly be a benefit to increase your retirement benefit, you need to be aware of how this process may work against you. 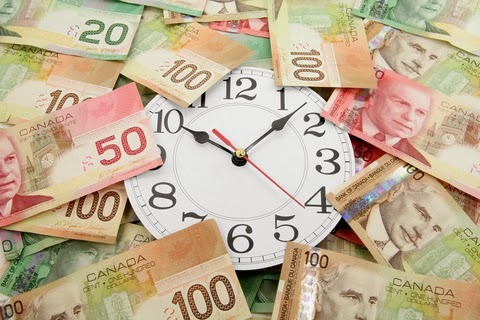 Let’s assume you stop working at 60 with the intention of waiting until 65 to start drawing Canada Pension Plan. You believe you should be rewarded for waiting; however, you might be surprised to learn the retirement benefit is not as significant as you thought. When a person does not work between 60 and 65, these additional 5 or 6 years are automatically included in the General Drop-out Provision for the purpose of disqualifying the years when earnings were low or zero. Guess what? These years between 60 and 65 match the criteria. To receive specific details of monthly retirement benefits, contact the Canada Pension Plan office for projections and explain your intentions. When your turn comes and you are faced with the fork in the road that millions of others faced before you, you will need to decide which path is appropriate for you. When you pull all the above information together, you may draw your own conclusion with help from a Certified Financial Planner. Weighing your options carefully is the only way you can make an informed decision. Once you choose to start your retirement benefits at age 60, the decision is irreversible and the benefits remains the same for your lifetime. Certainly the disadvantage of receiving retirement benefits early is if you became disabled between the ages of 60 and 65. The Canada Pension Plan Disability Benefit is higher than a retirement benefit. You will not have an option to switch. 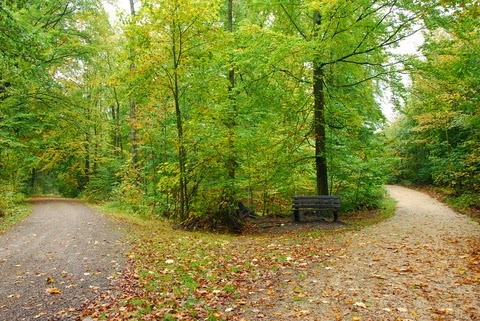 Regardless which path, you take, be sure it’s right for you.